Ever since I started running for fun, I’ve made it a point to go running in every new place that I visit. I do it because it’s a great way to explore a new place. Running in a new city, new state, new country makes me feel like a local while visiting. It also gets me familiar with the area and when I go out exploring for real, I’m able to navigate to key points of interest without using google maps. I also like to say that my shoes have touched dirt in a new city, and running also makes me feel less guilty when I’m eating and drinking my way through a new place. 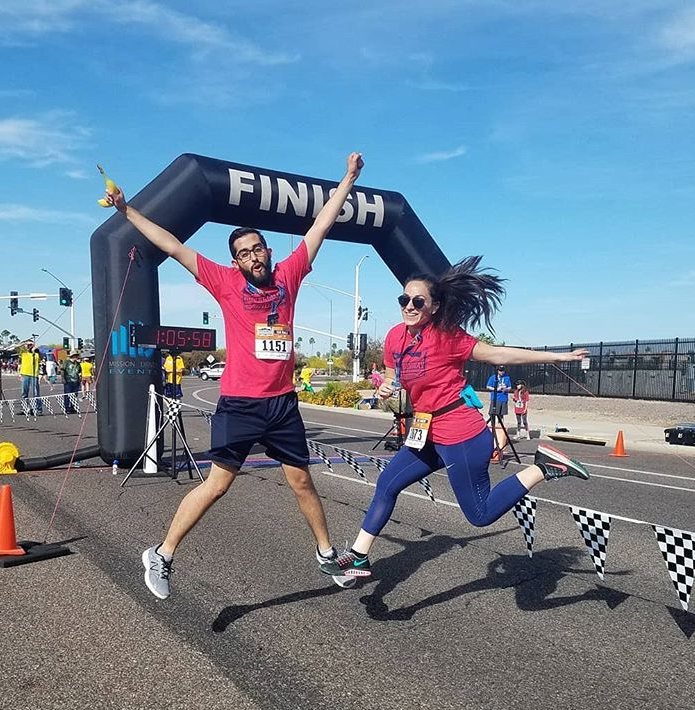 When I started my running journey, every time I would post that I was running in a race, a new friend or family member would message me telling me that they wanted to join me. After a little while, I began a group chat with my fellow runners and running races with them became a way to keep in touch. 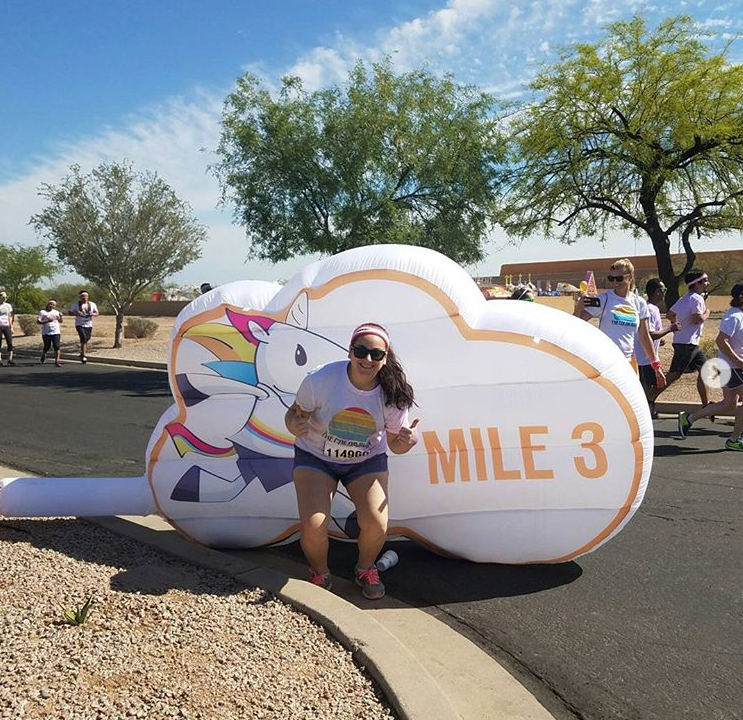 There would be times when I would run with my family/friends because it was a fun race (like the color run) and other times, we would be competing for a new personal best so we’d run alone, but at the end we would celebrate together. 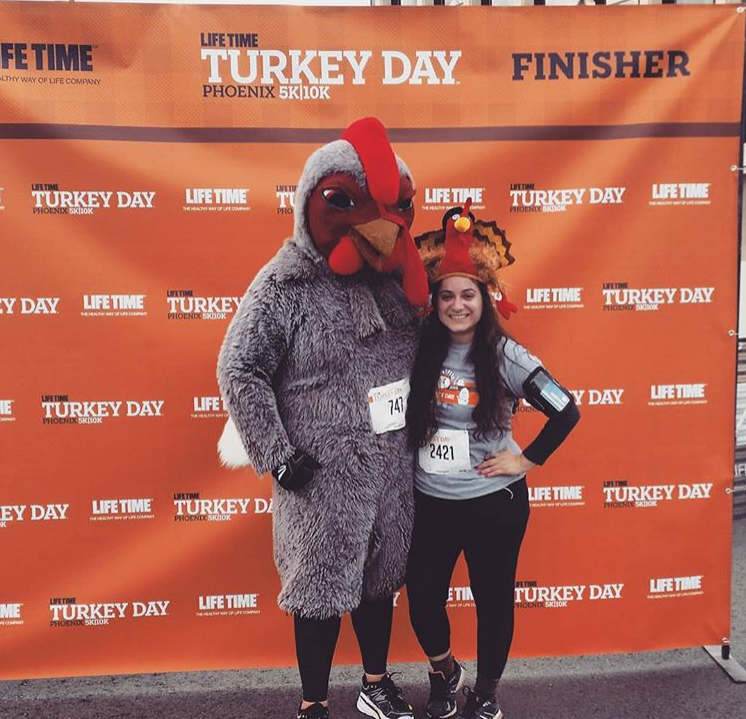 Every year, my cousins and I run the Thanksgiving Day 10K and it’s a great way to remember to be grateful for our healthy bodies. A couple of years ago, I ran four miles to my cousin’s house to get my miles in but to also visit. As I was on her street, she was outside with my two little cousins (who were four and five at the time) and I remember they were so surprised that I had arrived at their house with no car. They kept running around the street looking for my hidden car, and that was when I explained that I ran there from my house. I explained that the human body is capable of moving us from place to place, and that anything is possible. 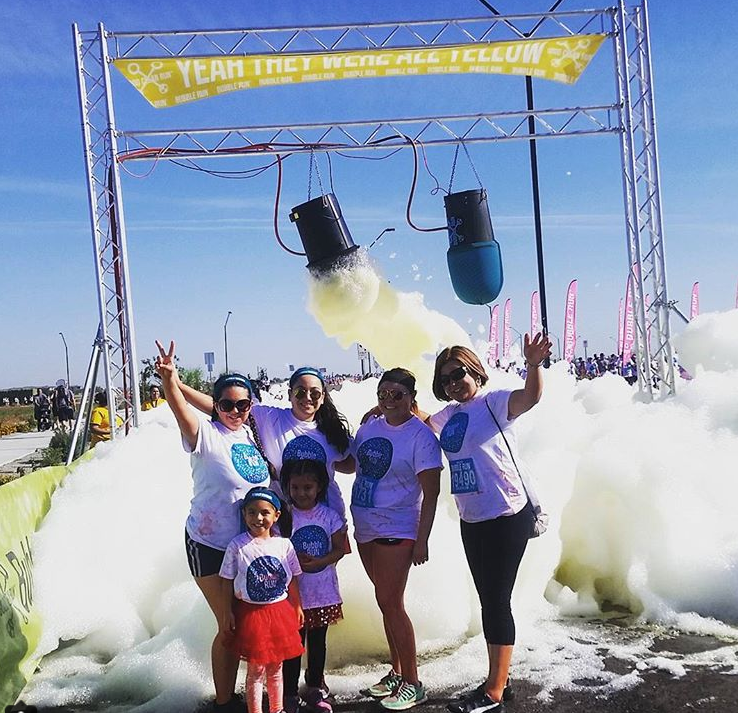 A few months after that, we all ran the Bubble Run together and my little cousins hated the bubbles, but loved spending time and even enjoyed the running a little bit. It’s one of my favorite running memories to this day. For the most part, I try to live a healthy lifestyle…but I am human so of course I like to eat unhealthy (and delicious) food. Running allows me the amazing perk of being able to eat whatever I like after a race and not feel super guilty. Every Thanksgiving, I do not feel guilty at all for indulging in tamales because that morning I run 6.2 miles and I deserve it, am I right?! Another great reason to run is that carb-loading is a real thing. I love carbs, I love bread and pizza and pasta and luckily, as a runner, carbs are great! Carbs provide fuel and so before every race or long training run, I treat myself and enjoy a nice carb heavy dinner! 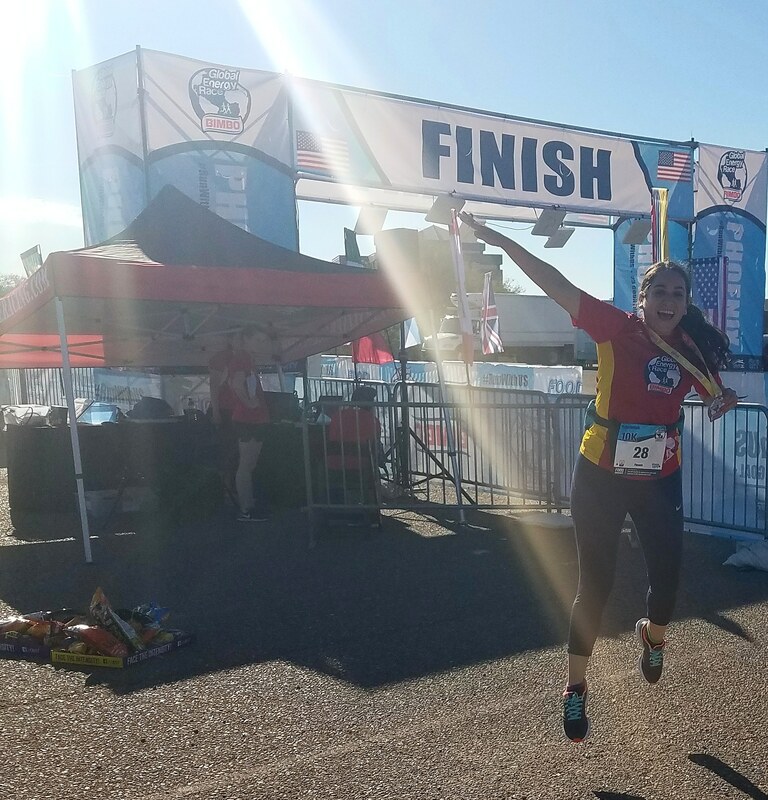 I always feel so healthy and fit after each run, even those runs that are super long and tiring…because I know that what I’m doing is great for my body and for my overall health. I love seeing what my body is capable of and I feel so strong after each run. Cardio (running) is good for your cardiovascular health and my mom’s family has a history of cardiovascular issues. So when I run, I am taking care of myself for my own sake of course but also for the sake of my mom and her family. Whenever I tell my mom that I’ve gone for a run, I always see her face light up and it makes my whole day to know that my being healthy and running makes her happy. I have said this time and time again, the best part about doing anything (work, blogging, running, etc) will always be the people that you surround yourself with. It is these people that inspire and motivate you to continue to do your best. 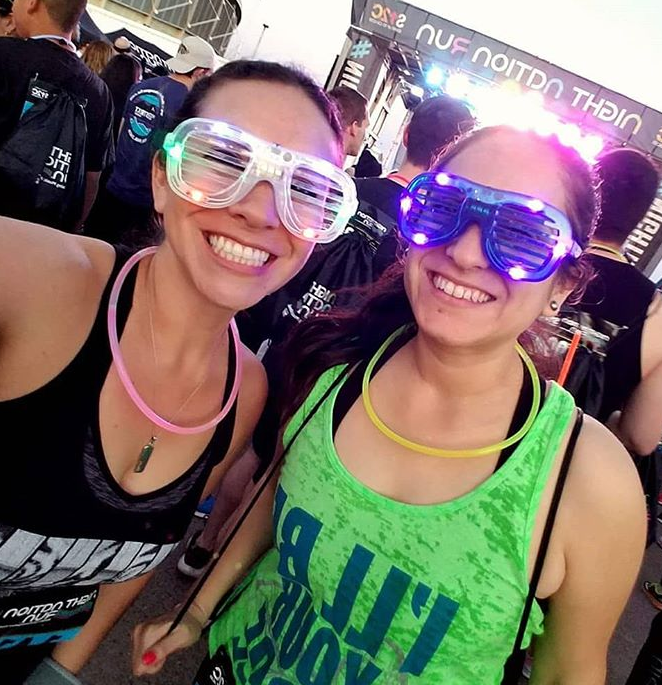 I’ve made so many friends in the running community that I would have most likely never encountered in my life because we are so different, but the fact that we have running in common brings us so close. I love my runner friends who share running memes with me and my RAM Racing Ambassador family who share races and volunteer shifts with me. 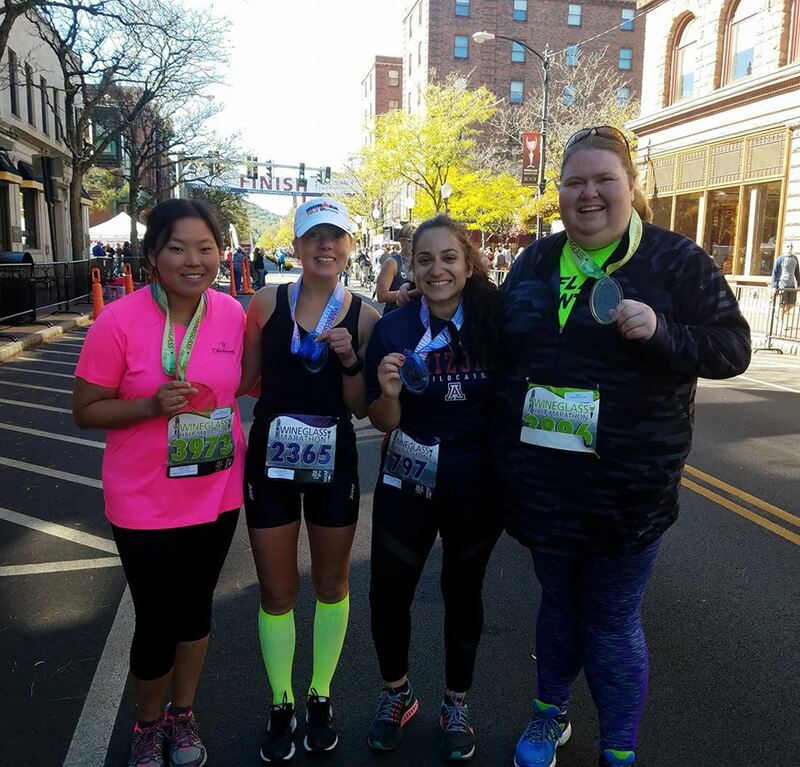 I also love seeing my running friends at different races without even having to coordinate with them, we just all sign up for the same races and it’s great! 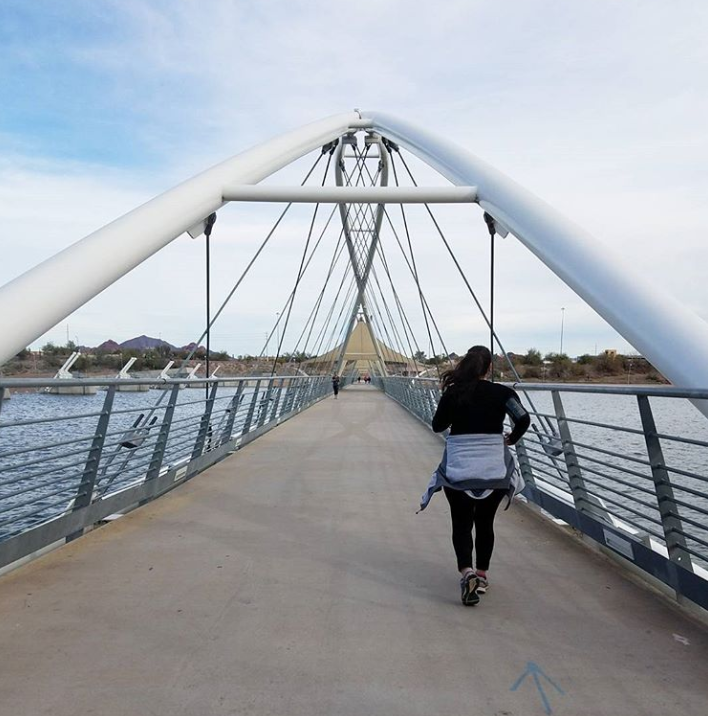 When you’re marathon training, it doesn’t matter where you run…what matters is that you do it. 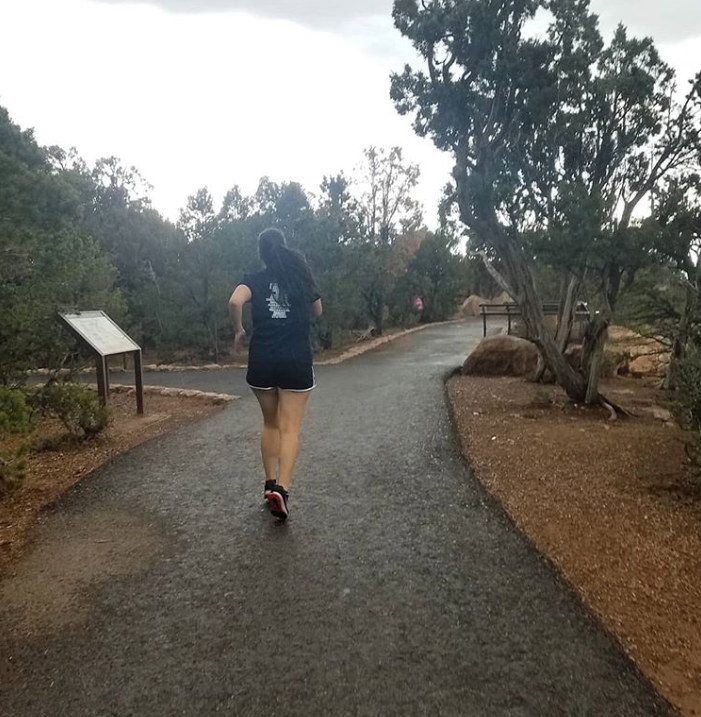 Some days, you don’t feel like working out or running, but you just have to do it (otherwise recovery after your race will be pretty terrible)…and that’s one big thing I’ve learned from running. 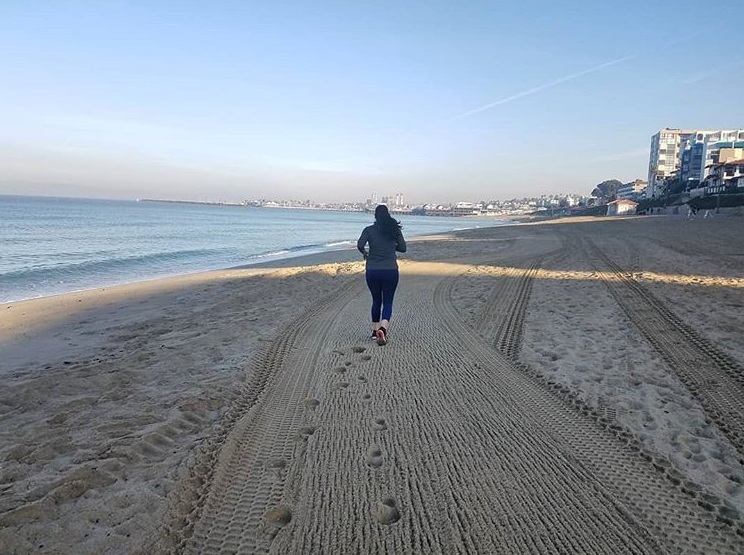 It doesn’t matter if you’re on vacation or if you’re ‘too busy’, all it takes is a couple of steps and I guarantee that you will feel better when you finish your run. I’ve learned true discipline with food, and am now able to say no to Hot Cheetos or Chipotle the night before a long run because I know my stomach will hurt and my running will be affected. I am also able to say no to a night out because I know I need my rest. I’ve learned to make vacation runs a thing. I also like to run because it gives me the opportunity to sometimes take the path less traveled. There are so many beautiful places that are meant just for walking/running and there’s no way I would have ever encountered these areas if it wasn’t for my running. One of my favorite places that I discovered was at Fool Hollow Lake in Northern Arizona. 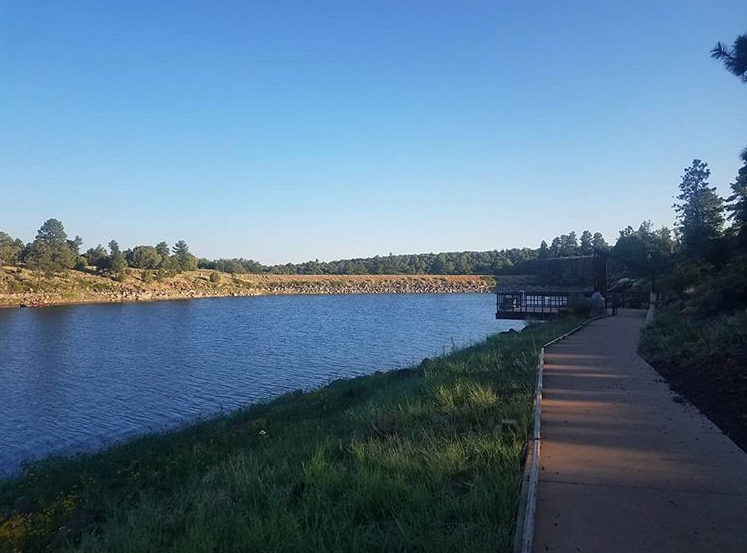 I left the RV glamping area and just started running with no real destination in mind and I ended up near the edge of the lake and took in this beautiful view. Whenever something not so great happens in my life, I find that going for a run usually helps me to process and organize my thoughts and feelings. Sometimes it works and after a run (which may or may not include tears that thankfully look just like sweat), I find myself feeling more collected. And other times I am just left tired and with even more thoughts running around in my head. Regardless, after every run I always feel a tiny bit better whether it is physically, mentally, or emotionally. It also helps me to run because when I’m upset and wanting to cry, sometimes it’s hard to control my breathing. My breathing can get very haggard, so if sitting and focusing on my breath is not enough to handle my breath, I go for a run and running forces me to stabilize my breath. When I first started running, the goal was to just cross the finish line. After almost three years of running, the new goal now is to always improve and to beat my times from the years before. I run to set physical goals for myself and to compete AGAINST myself. I like running because you are your only competition. Even if you’re competing for that first prize spot, yes you’re technically competing against everyone else but on a deeper level you’re competing against the runner you were yesterday because every race is an opportunity to improve. I tell my friends time and time again that they should include a physical goal to their bucket list because it teaches you so much about your own limits. I watch a lot of television and it makes me sad that in this lifetime I will never be able to see all of the great television ever produced. The same thing can be said for podcasts. THERE ARE JUST SO MANY TO LISTEN TO. I like to run because it gives me the time to listen to podcasts and be fully present because my body is of course focusing on the running but my mind is focused on the podcast. I learn so much during my runs so I feel great physically and mentally! 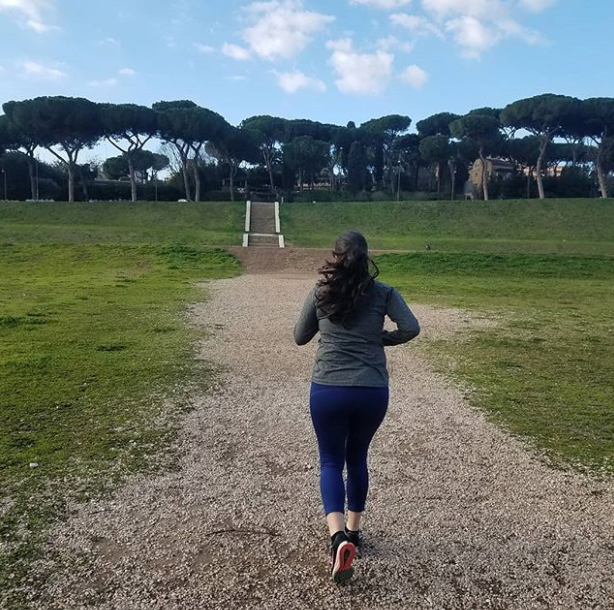 If you’ve been around for a while, I’m sure you’ll know that I am #EnthusiasticAboutTravel and whenever life decides to join two of my loves (traveling and running) then you know I have to say YES! 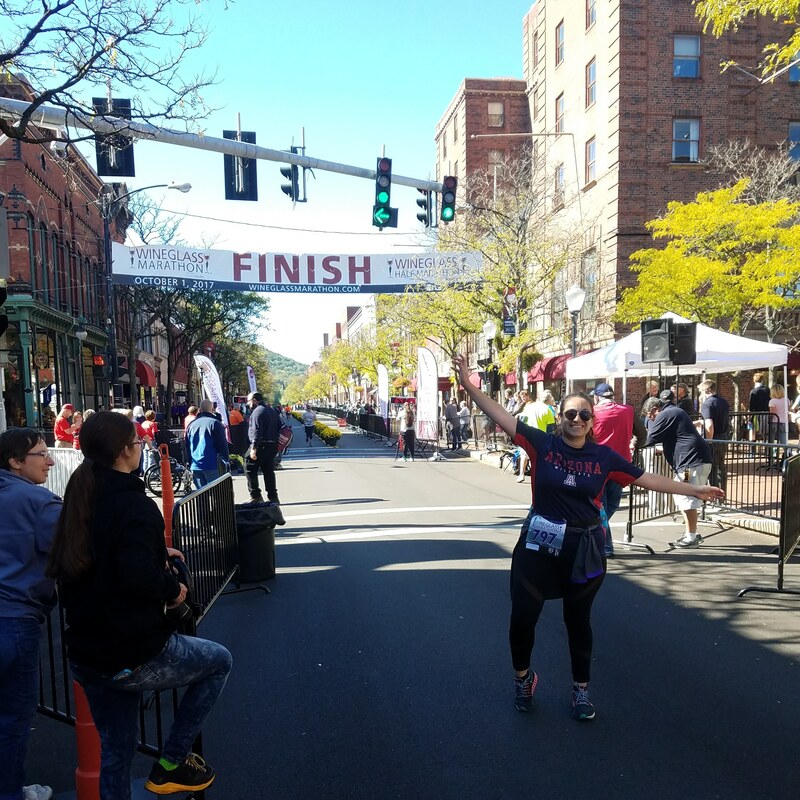 There are so many great races all over the USA and when a friend randomly invites me to run a marathon with her in Upstate New York, you know I have to say yes! Not only do I get the chance to see my friend, I also get the chance to run and to explore a new place! Win-win-win! The last reason why I still run is simple: I enjoy running. It makes me happy and in this life, I believe we should all do what makes us happy as long as we are not hurting ourselves or others. If going for a run makes me happy, I’m going to do it. There are so many reasons to start doing something, and even more reasons to continue. I hope this list inspires you to go out and start your own running journey or to find something that brings you joy and also helps your mental, physical, and emotional well-being. To get more inspiration, check out my past posts about running here. Thank you all for reading, and stay enthusiastic! < Previous A World Worth Seeing Book Review + Giveaway! Next > Christmas Markets: A European Bucket List Item!